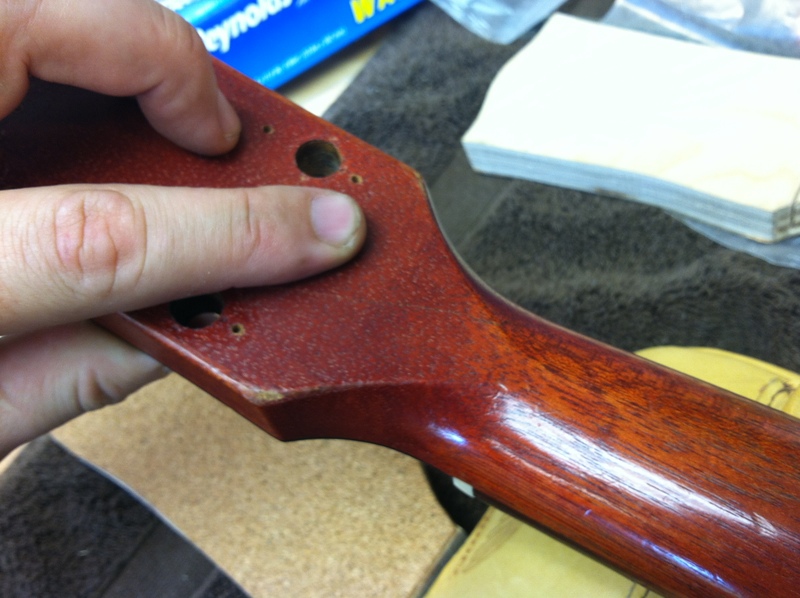 A broken headstock on a Gibson, what a bummer. But not to fear. Unfortunately, it is an all too common injury the instrument suffers. Usually some kind of blunt force trauma results in a crack at the headstock. 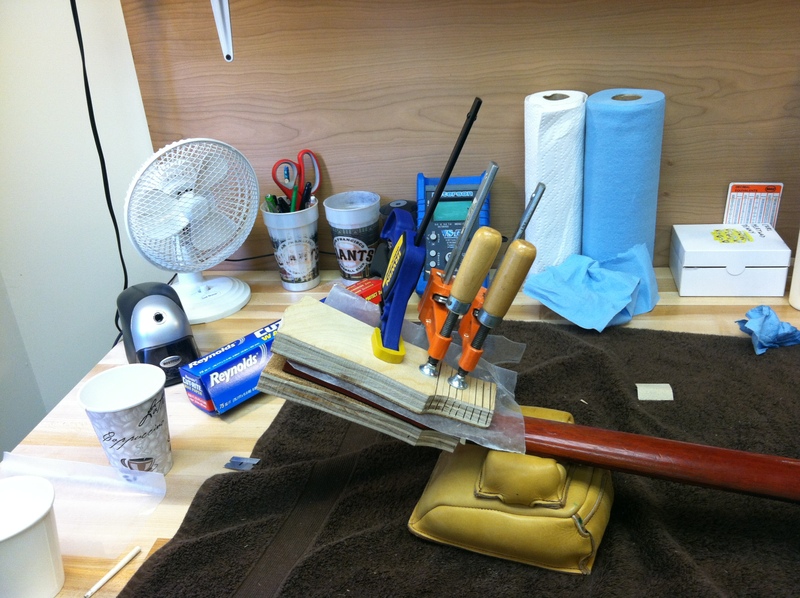 Depending on the severity of the break, the repair can be done in different ways. 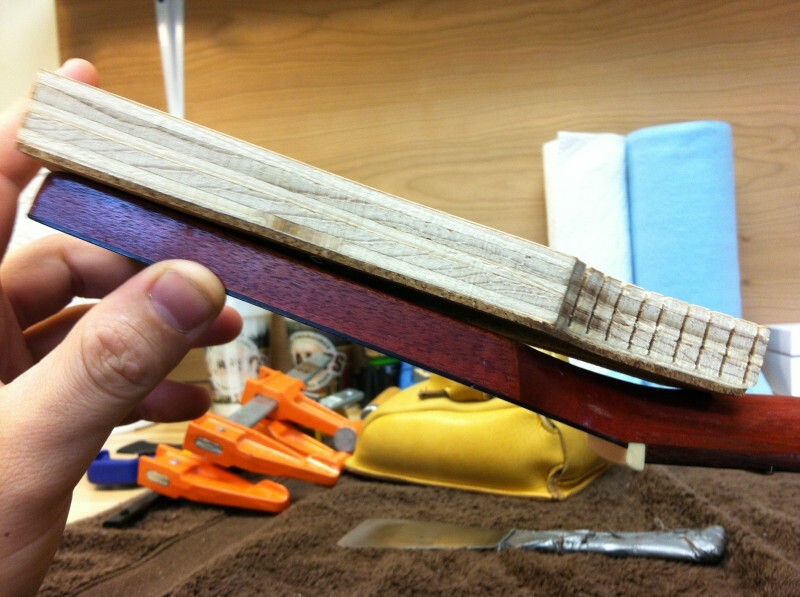 The way this SG split is pretty common for a headstock break. 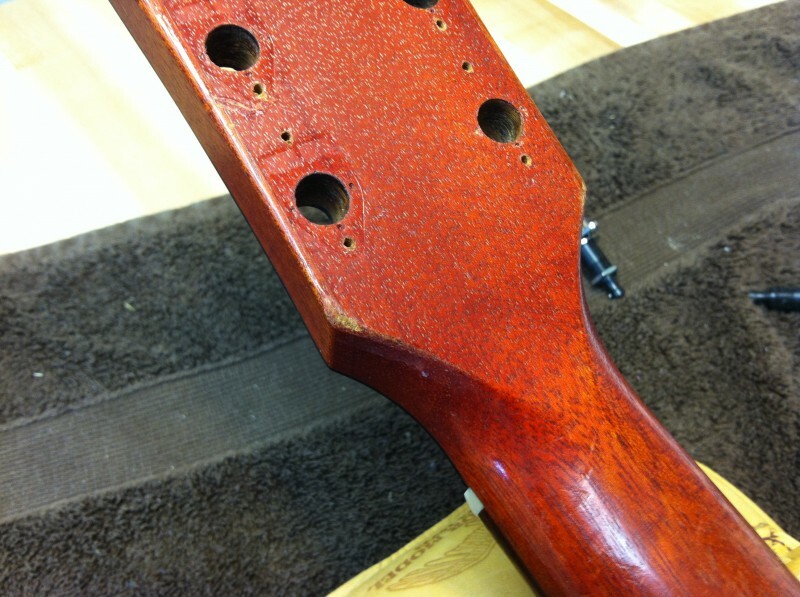 Much of the finish is intact so that's a positive thing too. 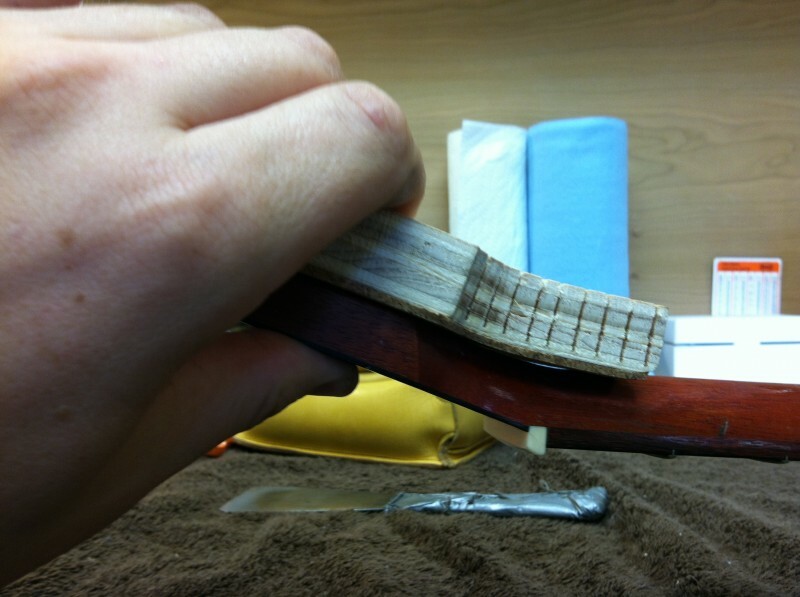 In this case I have a flexible clamping caul I made to pad the back of the peghead and conform to the curves of the neck volute. I inject glue and clamp. Let it sit overnight and the crack is fixed. Clean up the glue and you're back in business!